Are you dreaming of financial freedom, but know how to achieve it? Are you a business owner that’s just started, starting over or struggling to achieve the results that you deserve? Too many companies offer the same ‘secrets to business success’ but can’t promise results. How? Our speakers are creating successful businesses 7 days a week. They know what works and what doesn’t because they have failed, learnt from their mistakes and built highly profitable businesses. 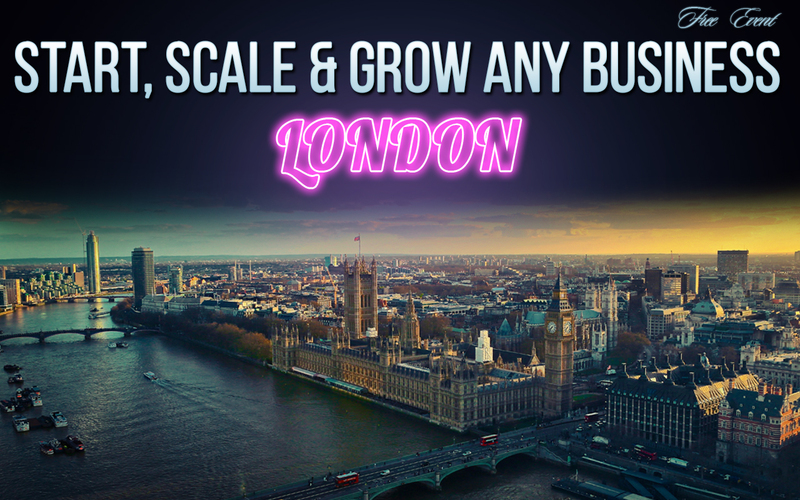 Join us for our completely FREE business event in London! We’ll be showing you how you can start to generate more leads, get more sales and create more opportunities for you business! The best bit – it’s all free! Your speaker for the day will be Big Business Events Head Coach and Founder, Adam Stott. As one of the UK’s foremost social media marketing experts, Adam has helped hundreds of businesses develop strategies that have transformed their businesses and Adam himself has sold over £50m of product via Facebook alone. The Big Business Events team will be there to greet you at 9am for registration and the day will finish at around 5pm. All business owners are welcome – no matter what stage of the business journey you are at. Time (and seats!) are running out – save your seat today by filling out the short form above. 10 super simple steps that improve and accelerate your business – so simple in fact that you’ll be wondering why you’re not doing them already! On top of all this, you’ll have plenty of time to talk to like-minded business owners and the Big Business Events staff and coaches. If you are a business owner, or thinking about starting up and you want to find out how to grow your business quickly – you need to to be at this event! This event is suitable for business owners at all stages of the business journey. SPACE IS LIMITED! Seating at our free events is limited and spaces are reserved quickly – if you’d like to join us please register for the event and don’t delay.